Canadian-born author Patrick deWitt trades in the Hollywood bar scene and pours his talents into an immorally violent and vehemently funny revisionist Western set during the California gold rush. And yet, not everyone or everything is without conscience in The Sisters Brothers. 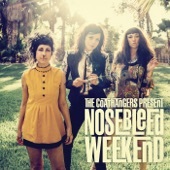 The protagonist, Eli Sisters, is sensitive in his starring role as a reluctant anti-hero. His brother, Charlie, is different. He happily earns every stitch of his reputation as a gunslinger for hire. He is a selfish, cold-hearted killer whose appetite for taking is only matched by his ability to justify anything. If you don't want to sell something to him, he will enthusiastically shoot you, take it, and blame you for the trouble. Charlie's only soft spot, if he has one, is his loyal affection for his brother. 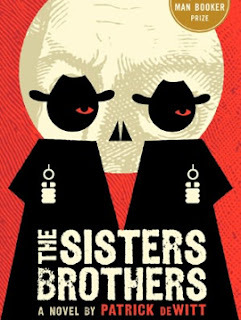 The Sisters Brothers is about two gunslingers on a job in California. You might never guess it by the narrative, which is told by Eli Sisters, but they are the bad guys. They have just received their newest job from the Commodore: track down prospector Hermann Kermit Warm and shoot him dead. The date is 1851. Oregon City is booming. 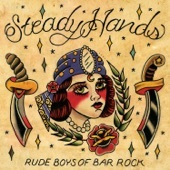 But their quarry, a small bald-headed man with a wild red beard, is several days away. Warm is planning to set out for his claim, ten miles east of Sacramento. It's like any number of jobs they've taken up before, except for one small detail. The Commodore has designated Charlie to be the lead man after the last job was botched. Eli takes exception to the new rules, especially the pay rate. But their bickering over how the money might be split isn't the only tell that these two brothers are cut from different cloth. Eli's head is filled with questions — anything and everything from what Warm did to whether or not Warm will be there in the weeks it will take them to traverse the countryside. Charlie won't entertain much of the nonsense. They were hired to do a job and he doesn't need to know the details. The trip itself is the bulk of their adventure across an untamed and hostile landscape. There are few romantic notions about what life might have been like in the 1800s. The land was hard and the people were harder, quickly quelling any notion that being a bad guy is a conscious choice. It's a necessity; nothing is safe. One night you go to sleep under the stars. The next morning your head is swollen from the crown of your skull to the top your shoulder. And for the all the trouble of your tooth infection or or spider bite, all your brother can do for you is laugh and call you half dog — right before tossing a stick to see if you'll chase it. The people they meet aren't much better than their mutual company. Most of them are losers, cheaters, liars, and killers. The only thing that keeps men alive is their ability to keep their wits and shoot, not necessarily in that order. All the while, it's Eli's boyish charm that takes it all in. He is just as predisposed to killing as his brother, but he doesn't like it. He keeps his dreams squarely locked on the future when some day he can give it all up, settle down, and live a peaceful life. Doing so also helps the story find its humanity. The Sisters weren't born bad. The place they were born was bad well before they got there. When they do eventually catch up to Warm after their fair share of misadventures with witches, prospectors, and gangs of frontier criminals, deWitt brings in a hint of steampunk-like magic into the story. Warm might not be the adversary they expected. He simply invented a new way to find gold. A little bit more about author Patrick deWitt. 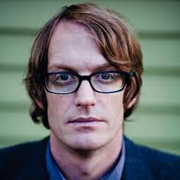 Patrick deWitt was born in 1975 on Vancouver Island, but later moved to California, Washington, and now Oregon. Like many new authors, he didn't cut his teeth in front of a typewriter. He worked as a laborer, clerk, dishwasher, and bartender. It was the latter experience that inspired his first book, Ablutions, which was named a New York Times Choice book. Shortly after, he wrote Terri, a screenplay about a large 15-year-old boy who struggles to adjust. The film starred John C. Reilly, whose production company has already bought the film rights to The Sisters Brothers. Interestingly enough, deWitt had the idea to try his hand at refreshing the Western genre after buying a single book from a Time-Life Old West series. According to the National Post, he paid 25 cents for it. The Sisters Brothers Shoots Out 8.8 On The Liquid Hip Richter Scale. Patrick deWitt places dirty underground and a surprisingly modern noir spin on the Western genre until it easily appeals to anyone who would never think to read one. It could easily be set in a different time, perhaps threaded with gangsters or post-apocalyptic scavengers without any romanticism. It can be argued the novel casts a Western as modern pop or perhaps more appropriately anti-pop culture. It's more entertainment than literature, and a rip-roaring good read. 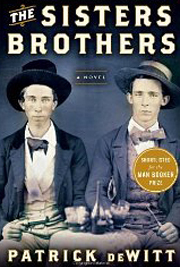 You can pick up the The Sisters Brothers by Patrick deWitt from Amazon. You can also find the novel on Barnes & Noble or download it for iBooks. 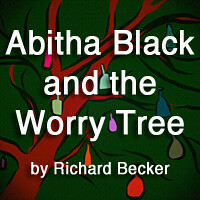 The audio version is read by John Pruden. Any boyish charm, naivety, or wonderment not captured by DeWitt as prose is made minute by minute better by Pruden.